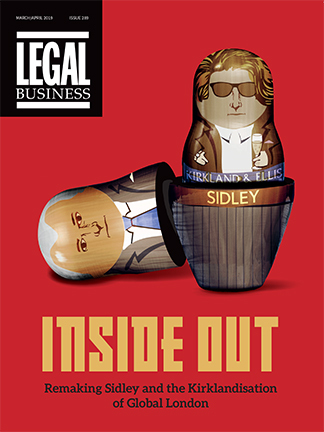 In another chapter to the ongoing story of Slater and Gordon’s (S&G) troubled Quindell buyout, the firm has been hit with an £80,000 fine for disclosing confidential client information. The Solicitors Regulation Authority (SRA) today (29 June) imposed a £40,000 financial penalty on both S&G and Quindell Legal Services, now Slater Gordon Solutions, for disclosing un-redacted confidential information and documents from 7,087 client matter files to other firms. The pair were also ordered to pay the SRA’s costs of £26,000. According to the SRA, the breaches took place between December 2014 and February 2015, shortly before S&G’s troublesome £637m acquisition of Quindell’s professional services division. Shortly after the Quindell professional services division was bought by S&G the firm ran into financial difficulty, posting a $958m loss for the six months ending 31 December 2015. This was primarily due to a hefty write-down on the Quindell deal. S&G is pursuing a fraudulent misrepresentation claim against the seller, Watchstone Group (the renamed Quindell). Watchstone denies fraudulent misrepresentation and is defending the claim. In an effort to put its turbulent relationship with Quindell behind it, S&G announced in May that it would roll its legal and former Quindell divisions into a single corporate entity and invest £30m in new technology. The unification brought its own troubles however, with the firm’s offices in Fareham and Sheffield being shut in order to focus on larger regional hubs. The firm also appointed a new-look management team, with ex-managing director of Sainsbury’s Argos Financial Services, Martyn Beauchamp, taking on the newly-created role of chief customer officer. Emma Holt, previously the firm’s head of personal injury, was appointed chief risk officer. 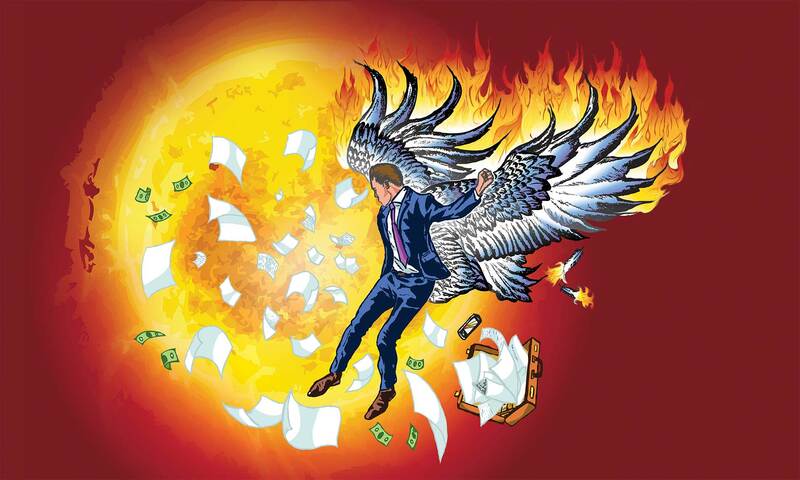 To read more on S&G’s rise and fall, read ‘The Icarus Syndrome’. Revamped personal injury specialist Slater and Gordon (S&G) is set to roll its legal and former Quindell divisions into a single corporate entity and has earmarked £30m for investment in new technology. The battle-worn firm today (11 May) announced plans to unify the two entities – Slater and Gordon Lawyers and Slater Gordon Solutions (SGS) – via an alternative business structure (ABS) in the coming months. SGS is the rebranded name of the Quindell professional services division, which S&G bought in an ill-fated £637m deal in March 2015. The firm ran into financial difficulty shortly after the buyout, and is currently pursuing a fraudulent misrepresentation claim against the seller, Watchstone Group (the renamed Quindell). The unification plan spells bad news for the firm’s regional offices however, with S&G planning to close its Fareham and Sheffield outposts and move work to its larger regional hubs. S&G confirmed it has begun consultations with staff in both offices. S&G’s combination follows last year’s major severance, when a June 2017 recapitalisation plan saw the firm’s UK operation split from its Australian parent. As part of the plan, senior lenders took control of 95% of the firm’s equity. S&G is also seeking to grow the practice areas of employment, residential conveyancing and family law. The firm is keen to wipe the slate clean after a turbulent few years which saw regulatory investigations and near financial ruin. S&G was the subject of an Australian Securities and Investments Commission (ASIC) investigation in July 2015 over its accounting practices, and for the six months ending 31 December 2015 the firm posted a $958m loss, primarily due to a hefty write-down on the Quindell acquisition. The significant tech investment and fusion of its two divisions is a step in the right direction for S&G, as its new-look management team. Last month the firm announced that ex-managing director of Sainsbury’s Argos Financial Services, Martyn Beauchamp, would take on a newly-created role of chief customer officer. Emma Holt, who was previously the firm’s head of personal injury, was appointed chief risk officer in the shake-up. To read more on Slater and Gordon’s rise and fall, read ‘The Icarus Syndrome’. S&G, which saw its UK revenues for 2017 decline by 17%, told staff on Monday (27 November) that it plans to relocate employees from smaller regional outposts to the firm’s larger UK offices. The firm’s branches in Chester, Wrexham and Milton Keynes will be closed, while S&G’s Preston office will close when the lease on the premises runs out next summer. The firm currently has 14 offices in the UK. In a statement, S&G said: ‘We have assessed our geographic footprint with a view to bringing it in line with our vision of delivering our services from strategic centres of excellence. The announcement caps off an eventful period in the wake of S&G’s troubled £637m acquisition of professional services division of Quindell (now known as Watchstone Group) in March 2015. Quindell later became subject to both Financial Conduct Authority (FCA) and Serious Fraud Office (SFO) investigations. For the six months ending 31 December 2015 S&G posted an A$958m loss, primarily due to a hefty write-down on the Quindell acquisition. S&G announced a major recapitalisation plan this June that will see its senior lenders take 95% of its equity. 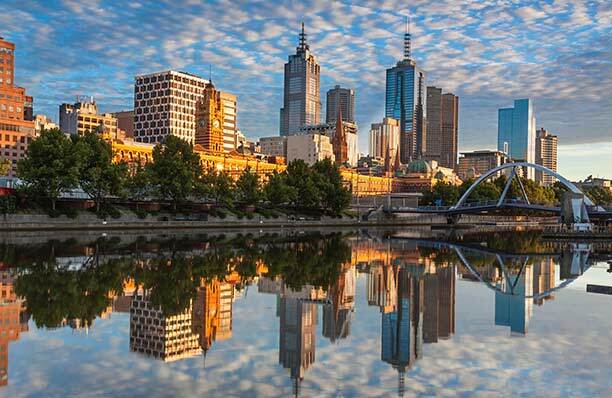 The recapitalisation is set to split the listed Australian parent from the UK operation when it competes in the new year. BLM has expressed an interest in September in taking on S&G’s business legal services division, with BLM confirming that conversations were in the ‘early stages’. Personal injury competitor Irwin Mitchell also looks like a potential suitor, and the firm announced it was hiring a three-partner court of protection team from S&G’s Manchester office in November. The ongoing Slater and Gordon (S&G) saga shows no sign of abating, as the Watchstone Group (formerly Quindell) in October denied fraudulently misrepresenting itself over the sale of its professional services arm to the beleaguered law firm. The £637m buyout in May 2015 proved to be the beginning of a downward spiral for S&G as, following the deal’s completion, the Serious Fraud Office launched a probe into Quindell’s accounting practices. As a result, S&G’s shares tumbled. 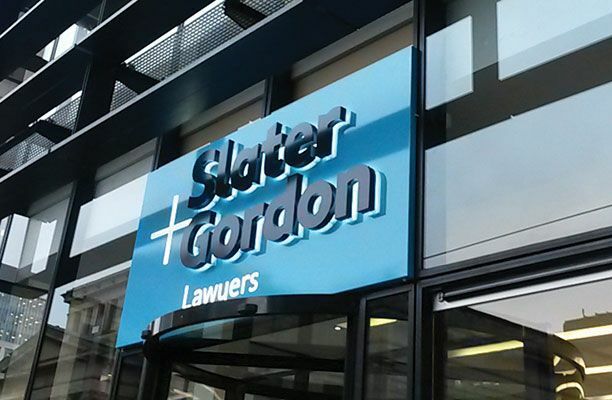 Another chapter in the turbulent story of Slater and Gordon (S&G) has unfolded, with the beleaguered listed legal pioneer today (31 August) announcing the splitting off of its UK business from its Australian parent. S&G’s UK arm will change into a new holding company, called UK HoldCo, which will be owned by the firm’s senior lenders, in a separation agreed as part of a recapitalisation programme linked to its ill-fated acquisition of the Quindell professional services business. The move effectively splits S&G from the legacy Russell Jones & Walker, the top 100 UK law firm that the Australian business acquired in 2012 in a ground-breaking £53.8m deal. The separation follows a hugely turbulent period for S&G, which has been wrestling with debts incurred largely thanks to its £637m acquisition of the Quindell business. S&G announced in June that group managing director Andrew Grech had stepped down as part of a recapitalisation which saw the entire board replaced. 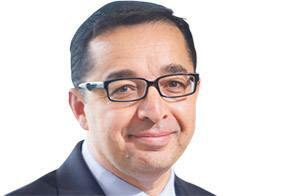 The recapitalisation agreement was reached with S&G’s main lenders, New York private equity house Anchorage Capital. S&G also this week announced its financial results for the year ending 30 June 2017, with the firm incurring a loss of A$546.8m for the period, largely due to a write-down on the Quindell acquisition. S&G became the first law firm to go public by listing on the ASX in 2007, and subsequently acquired personal injury specialist Russell Jones in 2012 to enter the UK market in what was touted as a hugely symbolic move under the incoming Legal Services Act regime. S&G had made a series of acquisitions in recent years before attempting by far its largest deal with Quindell two years ago in a move that almost immediately went sour. In June this year, S&G issued a £637m claim in London’s High Court against Quindell (now called Watchstone Group), alleging the company fraudulently misrepresented itself during the purchase. The latest episode in the S&G saga is another reminder of how little of the fanfare attached to the deregulatory ‘big bang’ of the Legal Services Act has yet to be justified, more than five years since the most radical elements of the legislation came into force. As Legal Business noted recently, the other big hope to shake up the global legal sector – the big four accountancy firms – are likewise yet to live up to their own sales pitch. Andrew Grech, Slater and Gordon (S&G)’s group managing director has stepped down with immediate effect today (29 June) as part of a recapitalisation deal replacing the firm’s entire board, in an attempt to shore up financial resources. Grech will remain a non-executive director of Australian-headquartered S&G for a short period until a successor is named. S&G Australia chief executive Hayden Stephens and UK chief executive Ken Fowlie will continue in their roles. The beleaguered firm has entered the recapitalisation agreement with its main lenders, Anchorage Capital, a New York private equity house. Together, the lenders represent over 75% of the company’s debt by value. S&G said that the recapitalisation ‘is intended to provide the company with a sustainable level of senior secured debt and a stable platform for its future operations in both Australia and the UK,’ in a statement released today to the Australian Stock Exchange. The plan means that all existing directors of the firm will resign ‘in due course’. Once completed in October, the deal grants S&G’s lenders 95% ownership of the company’s equity. Existing shareholders will be left with less than 5% equity. The lenders have already committed to providing the firm with A$40m working capital facility, with a potential three year A$30m senior debt facility for future financial flexibility. Grech’s exit announcement follows the service by S&G’s UK subsidiary of a £637m London High Court claim form on Watchstone Group earlier this month. The claim alleges that the UK-headquartered technology company, then known as Quindell, fraudulently misrepresented its finances during S&G’s buyout of Quindell’s professional services arm in 2015. S&G claimed that Watchstone also breached its warranties relating to the sale. S&G maintain that the purchase would not have occurred had Watchstone properly represented its position. S&G is in a troubled financial position, posting a 34% drop in total revenues in February this year. The figure fell from A$487.5m to A$322.7m. Slater and Gordon (S&G)’s UK subsidiary has served a £637m claim form on Watchstone Group in London’s High Court, for fraudulently misrepresenting the company on its 2015 buyout. The Australian law firm told the Australian Stock Exchange (ASX) on 14 June that it had served the claim, after confirming its intention to do so last month. The claim relates to S&G’s purchase of Watchstone’s professional services arm. S&G alleges the technology services company misrepresented itself and breached its warranties, maintaining that the purchase would not have taken place had the company, then known as Quindell, properly represented its position. S&G UK is represented by CMS Cameron McKenna Nabarro Olswang LLP. UK-headquartered Watchstone confirmed receipt of the £637m claim and said that it would defend the action ‘robustly.’ Watchstone expects to file its defence in a month’s time, Legal Business understands. Describing S&G’s claims as ‘groundless and without merit’ a Watchstone spokesperson said in a statement that S&G has ‘continuously refused to disclose key relevant evidence in its possession’ and that it would ‘intend to seek its disclosure at the earliest possible opportunity,’ following the claim’s service. In May, Watchstone also dismissed the merit of S&G’s claim, citing the findings of an independent barrister who estimated that the claim lacked 50 per cent prospects of success. S&G purchased the professional services division of Quindell after it generated revenues of nearly £180m in just the first half of 2014. The alternative business structure (ABS) covers legal services mostly relating to personal injury but also included marketing and motor services. The firm, which made 80% of its UK revenue from personal injury claims, lost half its stock value in November 2015 after the UK government unexpectedly announced plans to limit the number of personal injury claims. In 2016, S&G told ASX that £50m of the purchase price for the acquisition would be held in escrow against warranty claims that might arise under the share purchase agreement. In January 2016, S&G’s lenders it appointed investigative accountants for an internal review. S&G is in a difficult financial position. In February S&G posted a 34% fall in total revenues, the figure falling from A$487.5m to A$322.7m. Listed law firm Slater and Gordon (S&G) is to bring a £600m action against the company formerly known as Quindell over its 2015 deal to acquire Quindell’s professional services division. According to S&G, the acquisition, which contributed to the recent firm’s financial turmoil, would not have taken place were it not for fraudulent misrepresentation on the part of Quindell. Quindell, now known as Watchstone Group, told the London Stock Exchange today (11 May) that S&G intends to bring proceedings forward by the end of this month. The notice read: ‘Its letter states that [S&G] intends to make a claim for a total amount of approximately £600m on the basis that but for fraudulent misrepresentation it would not have entered into the transaction at all. ‘A groundless claim for fraudulent misrepresentation was dismissed by the independent barrister in respect of the warranty escrow process relating to the sale of the Professional Services Division in November 2016. The firm, which makes 80% of its UK revenue from personal injury claims, lost half its stock value in November 2015 after the UK government unexpectedly announced plans to limit the number of personal injury claims. After running into financial trouble, S&G’s lenders appointed investigative accountants in January 2016 to look at the firm’s books. In September last year, S&G announced to the Australian Stock Exchange (ASX) its intention to bring claims against Quindell, informing the ASX that £50m of the purchase price for the acquisition would be held in escrow against warranty claims that might arise under the share purchase agreement. 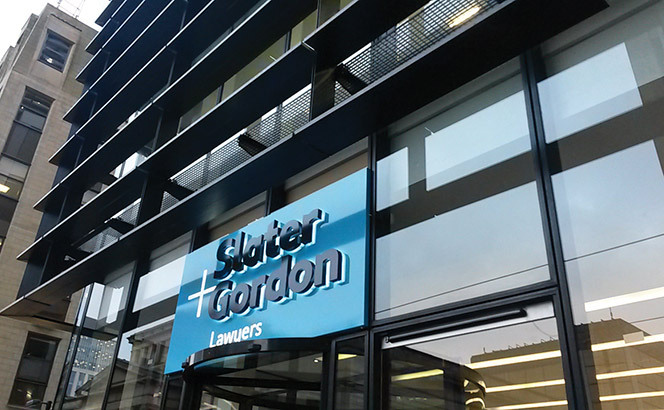 Australian-listed law firm Slater and Gordon has sold off 94% of its loans to a consortium of investors to restructure the business. The banks backing the firm have reportedly accepted heavy losses of up to 80% on their loans to the firm. Shares in the firm traded as low as 13 Australian cents. Slater and Gordon said its new lenders ‘fully intend to implement a solvent restructure of the company…to ensure that the company has a sustainable level of debt and a stable platform for its future operations both in Australia and the UK’. The firm said it was planning a debt for equity scheme to revive the business. Slater and Gordon’s Australian and UK operations have had a difficult run since the firm’s takeover of UK insurance claims provider Quindell for £673m in 2015, which has since been rebranded as Watchstone Group. The firm has come under increased scrutiny after its banks last year ordered an investigative review of its books, while in 2015 the UK’s Serious Fraud Office opened an investigation into Quindell’s ‘business and accounting practices’. Earlier this year, the firm posted an A$425.1 (£262.6m) net loss for the second half of 2016. UK fee income declined 35% in the last six months of the year, while the firm was forced to restructure its UK operations. In the UK, the personal injury firm launched a plan to reduce headcount by 16% and set a target of cutting down its operating sites from 47 to 32 ‘with further locations scheduled to be re-organised or closed in the remainder of 2017’.